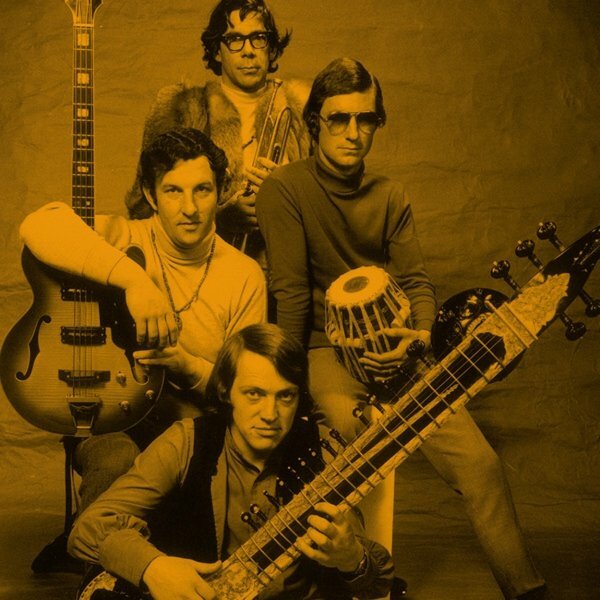 A very cool group that's every bit as groovy as their look on the cover – and who make a sound that's way better than you'd expect from a bunch of New Zealanders holding instruments from Indian music! The core of the group is Kevin Clark and Dave Parsons – who play together here on piano, trumpet, electronics, sitar, sarod, tabla, and other percussion instruments – often overdubbed, and recorded in ways that use the studio as an additional instrument – tripping things out with echo and effects, and finding space for a few other musical guests. One track here has vocals – "Nirvana", which was the only cut here ever released (issued as a single by HMV/EMI) – and all other tracks are instrumental, with a vibe that's maybe somewhere in the territory of some of the Don Cherry world jazz experiments recorded on the Scandinavian scene. Titles include "Nirvana", "Duddle Dup", "Haryana", "Kharmatic Prelude", "Amanzi", "Namaqua", and "Kharmatic Conversations". © 1996-2019, Dusty Groove, Inc.